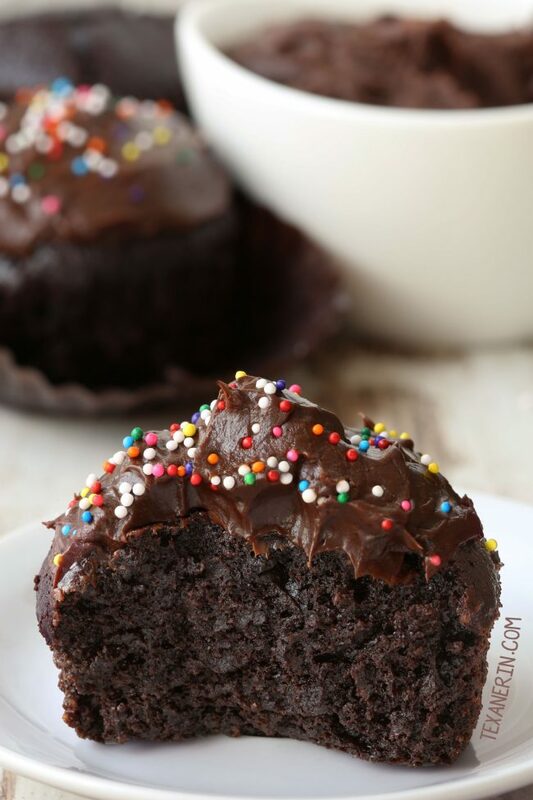 These paleo chocolate cupcakes are moist but not eggy and have a rich, dark chocolaty taste! Topped off with chocolate fudge frosting. Grain-free, gluten-free, and dairy-free. Scroll down for a how-to recipe video. So here’s the promised cupcake recipe that I used as a carrier for the paleo vegan chocolate frosting that I posted last week. Before anyone gets their knickers* in a twist, I know sprinkles aren’t paleo. They’re, like, the very opposite of paleo. But just look how they brightened these cupcakes up! They look much happier with the sprinkles. Here’s how you can make your own paleo coconut sprinkles. The recipe uses plant-based natural coloring and coconut and while they’re not nearly as bright as nasty store-bought sprinkles, you don’t have to worry about what you’re eating! Raspberries, strawberries and mini chocolate chips would also make for pretty and delicious paleo alternatives to sprinkles. * I don’t think I’m British – I just loathe the p-word. This paleo chocolate cupcakes recipe is pretty much the same recipe I used in my spiderweb cupcakes. I adapted it a little to make the cupcakes bigger and to make the measurements a bit easier for people who use measuring cups instead of grams. I also added a little more sweetener! The original paleo cupcake recipe was sweetened with just honey but when I tried the recipe as written, and ate a cupcake without the frosting, I wanted more sugar. So I added two tablespoons of coconut sugar. These paleo chocolate cupcakes don’t have that typical weird, eggy and spongy thing that a lot of grain-free cupcake recipes I’ve tried have had, though so that’s a huge plus. All in all, I’d say that these cupcakes are a victory. :) Check out the reviews in the comments in you need convincing! I definitely need to up my paleo cupcakes game (when it comes to variety!). These chocolate cupcakes are pretty much all I have. What kind should I make next?! Preheat your oven to 350 °F (175 °C) and line a muffin pan (or two) with 14 liners. In a medium mixing bowl, stir together the cocoa powder, almond flour, baking powder, espresso powder and salt. Set aside. In a large mixing bowl, stir together the melted coconut oil, honey, applesauce, coconut sugar, eggs and vanilla. Add the dry mixture to the wet and stir just until combined. Bake for 24-28 minutes. A toothpick inserted in the middle should come out mostly clean. A few moist crumbs or a little stickiness is okay, just not raw batter. These are super moist so if it comes out totally clean, they're probably overdone. Let cool for 5 minutes and then remove to a wire rack to cool completely. These do not taste very good straight out of the oven. I recommend letting them sit for 2 hours and then frosting. When you refrigerate them, they become denser, the way brownies get when you refrigerate them. Can be kept at room temperature, unfrosted, for up to 3 days or can be refrigerated for up to 5 days. 1 batch of frosting will yield just enough for slightly more than 1 tablespoon of frosting per cupcake, which isn't very much for frosting lovers. You may want to do 1 1/2 batches or even a double batch if you want to frost the cupcakes more generously. I used about 1 1/2 tablespoons (1 1/2 batches) of frosting on mine. 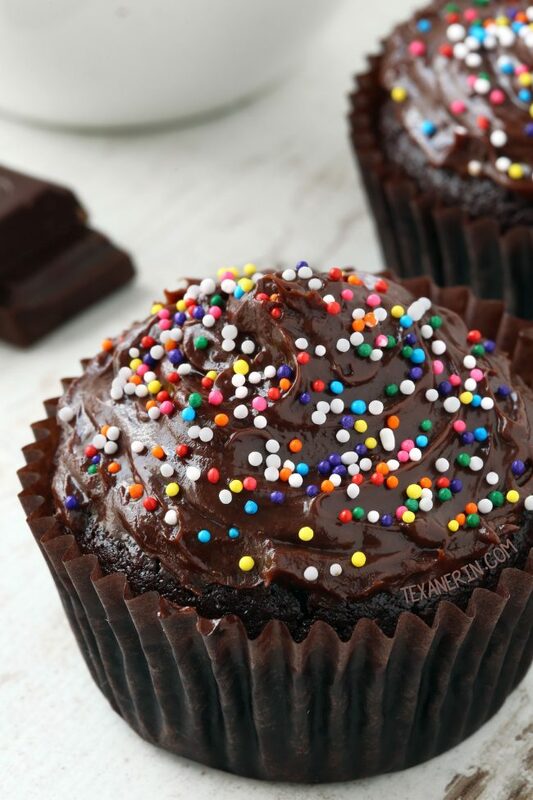 197 comments on “Paleo Chocolate Cupcakes (gluten-free, grain-free, dairy-free)” — Add one! I’ve never used Splenda (or any sugar-free sub) so I really don’t know. Sorry I’m not more of a help! I made these for my birthday yesterday, and they were incredible! I shared them with family members who don’t eat gluten free, and they went back for seconds. Thank you for the wonderful recipe that I will continue to make over and over! That’s always so nice to hear that non-GF eaters went back for seconds. :) Thanks a bunch for your comment! I hope you had a great birthday. That’s amazing that they came out well without the applesauce and coconut sugar! That’s quite a bit less sugar. :) I looked up mud cakes and am not really sure what they are. Does mud cake have a gooey texture? Most of the ones I looked at just looked like regular cake. I’m interested in trying your version, which is why I ask. :) Thanks a bunch for your comment! These cupcakes look perfectly moist and delicious. However I would love to make these nuts free so I can take to my kids school to share with friends and here in Australia, schools have a nut free policy. Is there a suggestion you could offer as a substitute for Almond flour/meal? Thanks! Unfortunately, nuts flours aren’t interchangeable with non-nut flours. I’ve heard of people using sunflower seed flour as a sub but I’ve never tried it and have no idea if it’d work here. Sorry about that! I am trying to do a no sugar version. Is there any substitute I can use for the applesauce that you know of? Thanks! Hello! Unfortunately not. You could try another type of fruit (not that I’m sure that’d work) but that doesn’t help with the sugar problem. Sorry about that! Is there anyway I can get away with leaving the expresso out? Will it still come out ok? Just leave it out and they’ll be totally fine. :) Enjoy! These are FABULOUS! The only changes I made were: used 1/2 C of Raw Honey and I used Hershey’s Dark Chocolate Cocoa Powder and Trader Joe’s Instant Coffee Powder instead of the Espresso Powder. These are so great. Thank you for the recipe! I’ll be making these often! I’m happy that they came out well with your changes! Thanks for sharing. :) I’m happy to hear that you’ll be making them again! Thanks a bunch for your feedback. Thank you for this recipe! Made it for my office and they LOVED it. And this is not a paleo crowed, so way to go! I ended up having plenty of icing leftover with just a single batch. That’s great that you and your co-workers enjoyed the cupcakes! That can sometimes be tough when you bring paleo goodies. ;) Thanks for your feedback! Made these for my husband’s birthday and everyone loved them! They taste amazing cold! Thanks so much for the recipe! I also used about half the honey and they were plenty sweet enough! Yay! So happy that everyone liked them. :) I hope your husband had a happy birthday! Thanks for your comment. Hi! These look so great! Can I use coconut flour instead of the almond flour? Hi there! Coconut flour is unfortunately not interchangeable with any other flour as it absorbs so much more liquid. Sorry about that! Just made them with coconut flour before I read this and they turned out fine. I used a little bit less than the almond flour and they’re probably a bit drier, but still super tasty. I’m so happy to hear that they were a hit! I hope your daughter had a wonderful birthday. :) Sprinkles do make them more fun. ;) Thanks a ton for your kind comment! You are so welcome! I am currently standing in the kitchen trying to convince myself that I don’t need to make these cupcakes again!😩😩 I am not winning…lol!Thanks again! These are absolutely delicious!I was searching for a recipe to use for my son’s fifth birthday party and this is it! An absolute winner! As mentioned in the post they don’t taste good straight out of the oven but we refrigerated them and they were amazing! I did not use the recipe for frosting as I made my own but these don’t even need frosting. I’m only making frosting for the appearance cause it’s a birthday party. Thank you so much for this recipe! I’m new to gluten free baking and learning how to do substitutes on “normal” recipes. It was nice to just follow this recipe exactly and have it turn out so wonderfully! I’ll be looking for more from you! What a nice comment! Thank you so much. :) I hope that your son had or will have a great birthday and that he enjoyed the cupcakes as much as you did! Gluten-free baking can definitely be difficult so I’m happy to hear that you found these easy to make. I hope that you’ll enjoy my other recipes and if you’re looking for another easy, gluten-free and kid-friendly recipe, I recommend trying these chocolate chip cookies (and they use the same ingredients as these cupcakes so you won’t have to buy anything special). :) Thanks again for your comment! Great recipe! I subbed butter for coconut oil and swerve powdered sugar in the frosting! Definitely better the next day cold out of the fridge. I’m happy you enjoyed them! And that’s great to know that Swerve works in the frosting. :) Thanks for your comment! Do we have nutrition facts on this cupcake?? I love that your husband made you cupcakes for your birthday! And I’m happy you’ve been enjoying them. :) You can copy and paste the recipe here for the nutritional profile, if you’d like. Thanks for your comment! Do you think this recipe would “stand up” if I made it into a cake instead of cupcakes? I was thinking of using a 6 or 8 inch round with a between 4-6 layers (depending on the round). Thanks! I recently made it with hazelnut flour instead of almond flour in a 9″ springform and baked it for 37 minutes. It was good but the texture wasn’t exactly the same. One of the commenters below baked it in a 9″ square pan and really liked it so maybe my issue was my pan was too small. So I guess you’ll just have to see how it goes. :) Sorry I don’t have a better answer for you! I’d love to hear how it goes if you try it out. Was wondering if I could use raw cacao instead of Dutch chocolate? Also if I could replace the espresso with a tea I’m caffeine free. I haven’t been able to find the Dutch chocolate on my endometriosis diet… these look amazing and can’t wait to try them. This recipe is amazing. I made it for my son’s first birthday. I did 2 separate recipes and made 4 9in rounds. I altered it (because I’m not paleo, just GF) by using regular sugar and butter instead of coconut sugar and oil. It’s good to know that regular sugar and butter work just as well! Do you mind sharing how long you bake the 9″ cakes for? :) Thanks a bunch for your comment and I hope your son had a great first birthday! Ok so I was TOTALLY skeptical. I’ve made a lot of paleo Pinterest sweets that dont taste that great but these are REALLY awesome. I’ve made them 4 times already. I also edited the recipe a little. I use 1/2 cup honey – I think I can use even less. I use NO coconut sugar. I don’t think its truly paleo – personally but I understand some believe it is. I really don’t think this recipe needs ANY more sweet, even with my honey cut down. If your eating strict paleo anyways these will taste VERY sweet to you which is why I cut the honey down. I dont use applesauce – I dice a whole organic apple and put that in my nutribullet with the coconut oil. Works great! Applesauce is VERY expensive where I live (on an island)… like $20 a jar expensive. I also don’t use espresso powder again because its so costly here. Recently I was out of apples but I had two absolutely overripe black bananas. It was AWESOME with those, you could barely taste it but it made them more dense. I like it both ways. Hubby prefers the apple. I also don’t make the frosting because I don’t think they really need it. I am going to try a few drops of peppermint oil in the next batch. Thanks, this IS a great cupcake and so awesome for that coco craving! That’s interesting about the sweetness! I posted a variation of this recipe without the extra coconut sugar a few years ago and thought they were sweet enough but when I made them again to post this recipe, they weren’t sweet enough for me. I wonder if my taste is changing! I’m thrilled that your pureed apples and banana versions worked out well. :) And these are great with peppermint extract! I’ve tried before, too. Thanks a bunch for your feedback and all your tips! I loved these! I will deffinetly be making them again. They are so chocolaty, they will be gone fast in my house! Yay! I’m so happy that you liked them. I hope you all still have some left. ;) Thanks for your comment! I just baked these up…baked up perfect! Of course, I had to sample one…moist inside and delicious dark chocolate taste. I imagine you could sub some almond or some peppermint extract to experiment with different flavors. These make our gluten free, grain free, dairy free, soy free family very happy! I’m very happy to hear that the cupcakes came out well for you! I’ve tried these with peppermint extract and they were great. Can’t wait to try some different flavors! Thanks a ton for your feedback. :) And I’m sorry I didn’t see your comment until now! You’ve done it again! My 8 year old has really taken an interest in cooking and baking this year. When the only cooking summer camp was sold out I told her to find recipes each day and she could do them at home. She searched for chocolate cupcakes, and came across yours. As soon as I saw your name at the top I reminded her of your other recipes we love, and we knew they would be good. My daughter did the whole thing on her own, minus taking them out of the oven :) Thank you again, these were super yummy!! This recipe is horrible. I’m sorry but I followed it to the tee, and I have been paleo/gluten free for almost 10 years so I have lots of experience with these I ingredients. I was even EXTRA careful because I made them for my husband’s birthday. The icing was SUPER oily and the cupcakes were honestly not that flavorful. Yours look beautiful in the picture. It’s a mystery to me. I’m sorry you thought that they were horrible. I’ve made these cupcakes 6+ times over the past few years and people always seem to love them and most people ask for the recipe. I’ve also gotten nothing but positive feedback from reviewers on social media. I know you were super careful but it really sounds like something went wrong. I’ve made recipes before, thinking I was being careful, and then they come out terribly (though the recipe has nothing but positive reviews!). Turns out I added the wrong ingredient, the wrong amount or just totally omitted it. Since you said they weren’t flavorful, I have to ask – did you not use Dutch-process cocoa powder? These cupcakes have a very deep, dark chocolaty taste to them and for you to say they aren’t flavorful really makes me wonder. Did you make any subs in the frosting? Because it’s not at all oily. There are only two reviewers on that recipe but both said they loved it. Sorry you had so many troubles! Subbing pumpkin for applesauce works great. My friend, who is not ‘free’ anything, grain, gluten, etc, will take a boxed mix and instead of adding the oil, eggs, water called for, mixes 1 regular can pumpkin and a half a can of water and then adds the cake mix. It is a bit flatter but delicious. I’m not sure if I did something wrong!? My cupcakes overflowed like crazy molten chocolate volcanos, and then completely flopped. Yes, I remembered the baking powder. I’ve double checked all the ingredients and can’t see where I went wrong! The mixture looked suspiciously runny before baking… could it be that there is not enough dry ingredients? These look delicious- can’t wait to try them! Thanks for sharing. 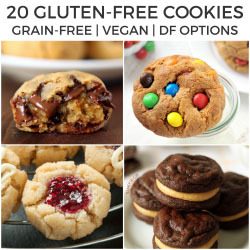 Please dear – how can I make these beautiful cookies COMPLETELY VEGAN?? See these websites for great ideas for substitutions.. I’ve used the arrowroot powder in place of eggs in either cake or cupcakes and it worked very well. Moist and mousse-like? Yes, please! I cannot stop staring at the disappearing/reappearing sprinkles photo…it’s mesmerizing. 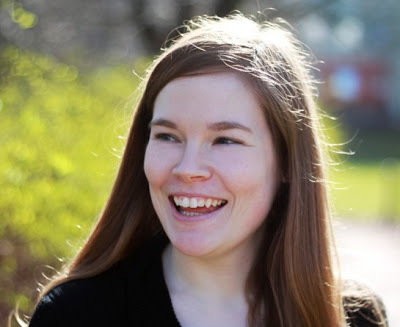 Erin, you have done it again! I made this recipe last night as a 9″ cake instead of cupcakes and it is absolutely awesome!! I topped it with a chocolate cream cheese frosting. I have been gluten-free for the last two years. This is the best cake recipe I have found. It is very light and has the rich taste of dark chocolate. Many of the gluten-free cake recipes that I have tried were either greasy or very heavy. Fantastic Job!! This is the second time that I have emailed you about a recipe of yours. The first was your multi-grain oatmeal raisin cookies, that I still make all the time for my grandkids. Every time I make them, my grandson tells me that they are the best cookies that he has ever had in his life. He’s 8. Hi Kelley! I’m so happy that you’re still enjoying the oatmeal cookies and that your grandson loves them so much. :) Thanks for sharing how you baked the cake in a 9″ pan. I’ll try it, too. And I’m with you – I don’t like those greasy GF cakes so much. ;) Thanks again for your comment! Erin, these are the most chocolaty looking cupcakes I think I’ve ever seen. They’re so dark they’re almost black (in a good way), so I understand the reason for the pop of color. If I could, I’d grab one (or two) through the computer screen and lick off all that frosting before noshing on the cake! Nom! Girl, you have outdone yourself with these scrumptious Paleo Chocolate Cupcakes. I love that you used the combination of honey, applesauce and coconut sugar for sweetening and texture. I cannot wait to bake these. :) Bravo! A mousse-like texture sold me! These look so rich! Wow, these look great — so moist and fluffy. And I much prefer the word ‘knickers’ too. The cupcakes look so enticing! I know that the sprinkles are paleo, but boy do they make the cupcakes look fun. looks delicious…. what would you substitute for coconut oil? They sound great and I would like to try them. However, I am allergic to coconut, which is a serious problem with most of the paleo recipes. Is there a practical alternative to the coconut oil, flour and sugar? The cupcakes do look happier with the sprinkles, but they look just as delicious without them! These are the most perfect looking cupcakes EVER! And yes, cupcakes are simply there to hold all of that delicious frosting!! Oh my… these look so decadent, so fudgy… I’d never believe that they’re paleo! I love chocolate cake! and that frosting looks amazing. You’d never know by just looking at these beautiful cupcakes. They sound amazing and I love the sprinkles on top! Perfectly festive for a birthday. I laughed at your line about the cupcake being a carrier for frosting. I feel exactly that way about cupcakes! Saying that cupcakes are mousse-like would absolutely convince me to try them. I love mousse! First off, these look delicious! Secondly, I love how simple the decorating is here. I always think cupcakes need big swirls and jazz, but everything works perfectly here. Love that these are paleo, and your GIF is so cute! Look how moist (sorry) these are!! SO obsessed with this recipe, and I will absolutely give them a try! Yum! Don’t worry about the paleo police, they’ll have their undies (our word for knickers!) twisted over something else in no time! Haha. So true! And oh. Undies is actually my word of choice, too. I have no idea why I didn’t think to use that. Haha.